Once upon a time, it wasn’t unusual for someone to walk into a business as a bright-eyed twenty-something and walk out after their retirement party. Now, that’s almost unheard of. In fact, according to a recent Gallup poll, 91% of Millennials surveyed don’t expect to be with their current employer in three years. If you ask almost any employer, they will tell you that employee loyalty is down across the board. It’s tempting to write that off as another quirk of the lazy, entitled Millennials. But most of these workers will say that they aren’t loyal because their employers don’t value them. A few decades ago, even entry-level positions included benefits packages like healthcare, retirement plans, and paid vacation. Now, most of those same positions don’t even offer sick days. But many companies are realizing that the way to keep top talent is by offering competitive benefits packages. A good benefits package can even boost your corporate reputation. Here are some of the best company perks you can offer to retain your best employees. If you’ve watched any news at all in the last ten years, you know that healthcare is a hot topic these days. Access to healthcare has ranked as the top stressor for Americans for five years in a row. And with fewer and fewer companies offering healthcare to their employees, it’s a pain point for many workers. If your company offers a comprehensive group plan, it can go a long way in attracting talent and keeping it. This might seem a little crazy. After all: no one wants their employees to sit at home and collect a paycheck without showing up to work. However, giving your employees unlimited paid time off can help boost morale without cutting into profits. If you communicate that you value their productivity more than the time they spend sitting in the office, they can get just as much done without being miserable. One of young workers’ biggest desires for an employer is flexibility. They want to be able to work when they want, where they want. Giving them the option to work remote can give them that flexibility while retaining their talent. And it’s not just a pipe dream: working remotely is the new normal for many Americans. If you don’t offer your employees that option, they’ll move to a company that does. Traditionally, company perks have been things like benefits packages and a few fun company events a year. But ever since companies like Google and Apple have risen to prominence, they’ve raised the bar for what companies should offer to their employees. No one is saying that you need to replace all of your desk chairs with yoga balls or install a napping room. But a few on-site amenities can make your workplace attractive to prospective employees. Stocking a fridge with free drinks and healthy snacks is a good start. An on-site gym is even better. Add a spa room with a staffed masseuse, and your employees will be happy as a clam. These things don’t just benefit your existing employees. On-site amenities can make your company look like the place to work, which attracts new talent. 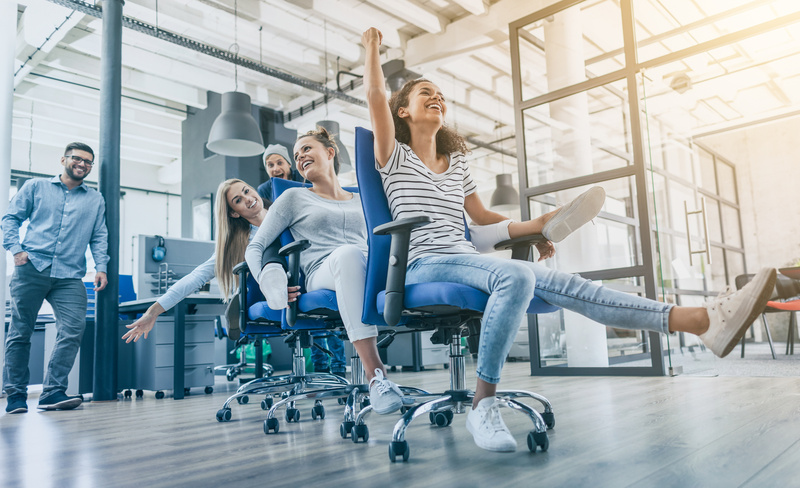 When prospects read more about what it’s like to work there and find happy employees, it is sure to boost their interest in working for you. The United States is the only developed country in the world without compulsory parental leave. Many companies offer six weeks maternal leave, but at a reduced salary. Most companies don’t offer paternal leave at all. Your employees have lives outside of your office. And a big part of that life is their families. When you show that you value their family, that tells them that you honor them, and they’re more likely to stick around. Offer paid parental leave, and be generous with it. It might seem like you’re wasting money in the short term, but you’re making an investment into strong, loyal talent that will stick around for years to come. A generous parental leave is a great benefit to an employee with a growing family. But when they go back to work, finding childcare can be a huge struggle. The cost of childcare has ballooned out of control over the last few years. For many families, it makes just as much financial sense for one parent to drop out of the workforce to watch the kids themselves. But if you offered trustworthy, on-site childcare, that’s a whole world of stress that your employees can avoid. Especially if they have the option to stroll down to the daycare to visit their kids throughout the day. Is there a popular sports team? A great art museum? A zoo? Many of these local features have benefits for individuals with a membership. And if you purchase memberships or season passes for your employees, it can make them love living in your city. Many of these organizations also offer group rates or discounts in exchange for corporate sponsorships. You can even use those sponsorships to promote your brand. In the 1990s, it was common for companies to have softball teams where their workers could unwind while competing against other companies. This is a great way to build camaraderie and loyalty. But you don’t need to stop at a softball team. Offer various clubs that employees can engage in such as a chess club, mountain climbing club, ski club, or photography club. Set aside some money in the budget to help pay for some of their expenses. It might cost more now, but it will lead to more fulfilled-and more productive-employees. In 2016, the average college graduate carried over $32,000 in student loan debt. That’s a huge burden on would-be employees. And if you offer student loan payments in their benefits package, many graduates would knock your door down. Many would even take a lower salary for it. And yet, many college graduates would be interested in going back to school if they could pay for it. Subsidizing continued education is an attractive perk to many employees, and can attract intelligent and ambitious workers. Everyone loved school field trips. That doesn’t stop when you enter the workforce. Periodic outings are a great way to raise morale and foster community between your workers. Take everyone out to a concert, to a fancy restaurant, or even just rent out a bowling alley for a night. Do You Have the Best Company Perks? Offering the best company perks might seem like it costs a lot. But if you don’t have some way to attract and retain the best talent, you’ll be stuck with an uncommitted, uninspired, and unskilled workforce. Want more business advice? Read more about how you can improve your online reputation.